In Old Israel there were many necessary occasions to write, to preserve the spoken word for the future. Not only religious, but also secular motives brought about this need to write. Not only education and instruction caused such a necessity. This necessity of writing settled the Forms of Documentation we now recognize in old texts. In Chapter 3, verse 3 of the book of Proverbs we get an interesting metaphor: ‘write on the tablet of your heart’. The heart of the student is described as ‘a wax tablet’, and to write on it the words of the teacher. It is clear that this metaphor only could make sense if writing tablets were used within this form of education. The student is encouraged to not only write the lessons on his tablet, but to also accept them into his heart (the tablet of his heart). The book of Proverbs was an initiative of King Solomon. He wanted to educate the people and especially young people. In the first verses of the book he declares the necessity of increasing in wisdom and knowledge, but then, (verse 7), he gives a clear definition of the source of all wisdom: ‘The fear of the LORD is the beginning of knowledge’. With this in mind he dared to instruct and give direction into all aspects of life. This is prophetical instruction, not by burdening the people but by giving insight in the ways of the Lord; his blessed ways. In Chapter 3, verse 3 we ‘encounter’ a so called Documentation Form. Sometimes it was necessary to write, to preserve the spoken word for the future. Not only religious, but also secular motives brought about this need to write. Education and instruction often caused such a necessity. Let’s look at a few Documentation Forms. Take note: this is distinct from Documentation Formulas! Song. Someone sang a song and recorded the text. Prayer. Someone went to the temple or the tabernacle to pray. What would be better than to write down the prayer, take it home and see how the Lord reacted. Name giving. When a child was to be born, not only were clothes prepared, but often also writing materials, to make it possible to record the first sayings of the mother or the father. The name of the child was derived in many cases from these sayings. In Israel, parents often reacted spiritually: God has heard: Samuel. Or: God is righteous: Daniel. Inheritance. When Jacob – in the clothes of his brother Esau – deceived his father Isaac to obtain the inheritance (blessing), there were certainly writers there to record the words of Isaac and Jacob. Nothing is said about these writers as they were seen as a normal part of the ceremony. They closed their writing tablets when Jacob left, but then Esau entered and they continued their writing. Promise (to God or man), Agreement, Contract, Royal audience, Secret question, Promise of marriage, Travel report, Instruction, Specification of duties, Sale contract, Law giving, Sentence, Order, Transfer of property, Saying of an authority, Personal message (letter), Privilege, Blessing, Prophetical message, Decision (final), Exemption, Package Deal (e.g. positive: Alliance; or negative: Conspiracy) etc. For examples go to Writing Discussions. In many situations people could use a writing tablet as it was widespread all over the Middle East. Pictures of wax tablets are found in many archaeological sculptures and paintings. Therefore we have to reckon with the authenticity of direct speeches in the most strange situations, just as the Old Testament stories show. A proper understanding of Documentation Forms has a lot of benefits. It is much easier to understand a Biblical passage when we recognize the Documentation Form behind a story. Moreover, when we understand how the spoken word was preserved in the Hebrew Bible, our trust in the described occurrences will increase immediately. 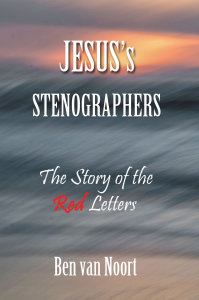 As the prophetical authors were able to preserve direct speech, they certainly were able to describe accurately what happened, as it is much more difficult to preserve the spoken word than to simply inform concerning factual issues.